I can't believe 30 Days is already 13! It's growing up so fast. Breakfast: Husband made bacon n' eggs. I can never stay away from that old staple for long. 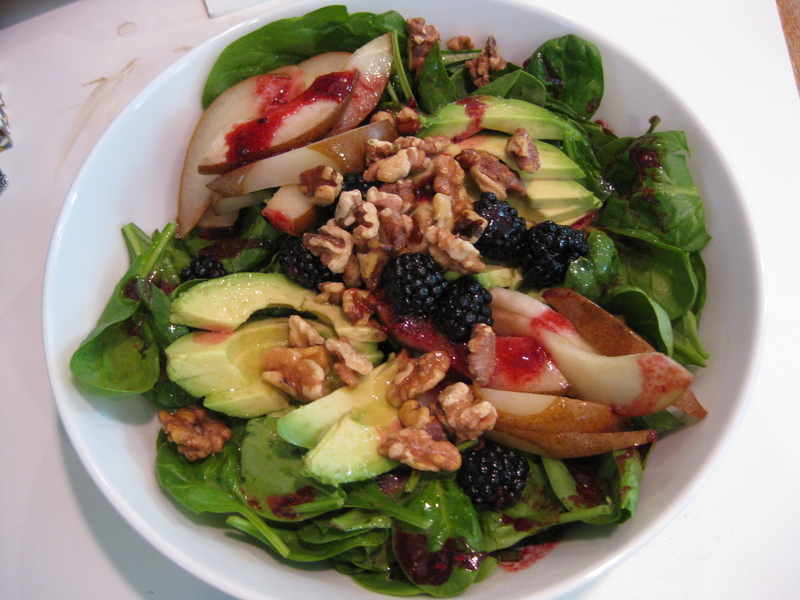 Lunch: A delicious summer salad with baked pear and homemade citrus vinaigrette dressing. Plenty of healthy fat in this filling salad. Dinner: Husband and I had date night at the Mediterranean Cafe. It's so easy to make “Paleo” choices at almost any restaurant. 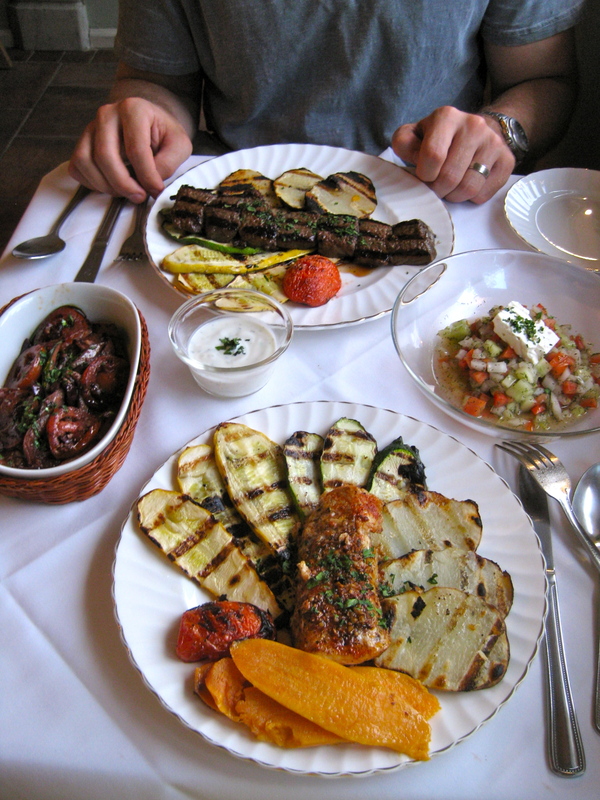 We split our plates of beef kebab, wild-caught cod, grilled veggies, tomato cooked with olive and balsamic, and a Shirazi salad composed of cucumber, onion, tomato, and dill. Absolutely delicious. Today's Workout was walking around Lowe's followed by 2 hours of yardwork in 95 degree heat. Yeesh.